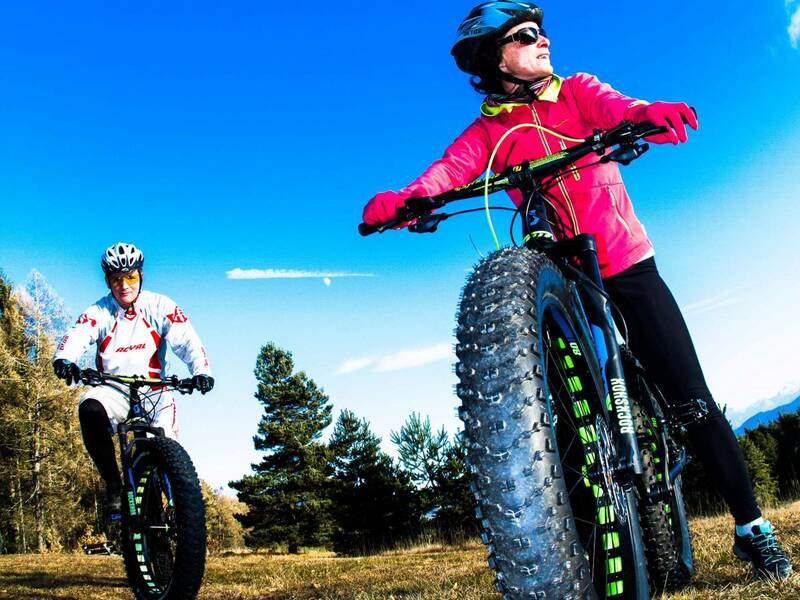 Fat bikes have got nothing to do with the size of the rider! 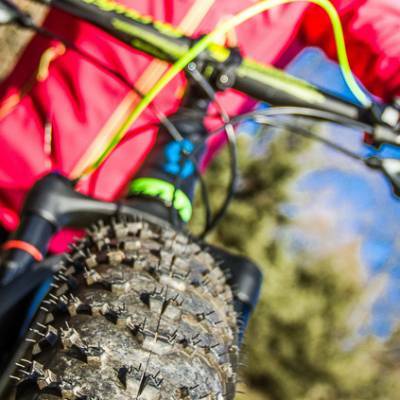 They were originally designed for biking in the snow with extra fat tyres offering great grip and stability in slippery conditions. 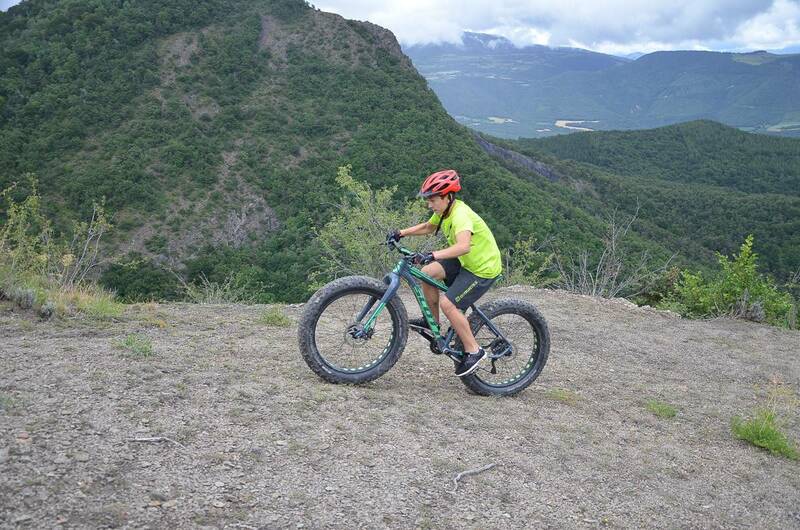 They are heavier than normal mountain bikes but also more stable and comfortable. 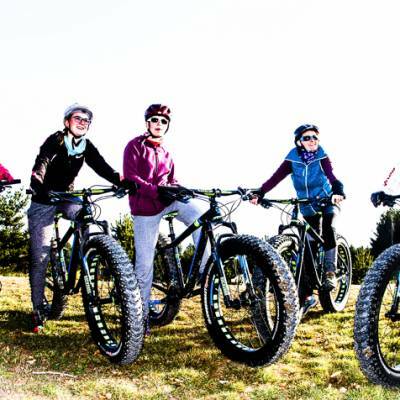 Bikers quickly realised that this also meant they were great in all terrain from mud to sand to rocks and they have quickly become an all year round sport! 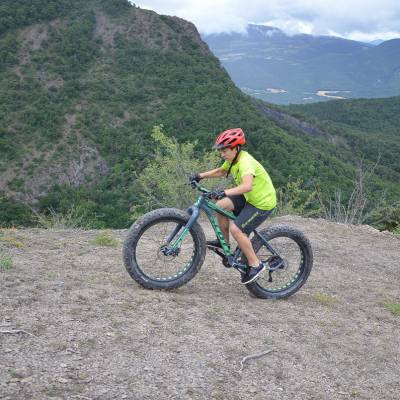 With hundreds of bike trails and a unique variety of terrain (forest, rocks, sand and mud), it seems like the Southern French Alps were made for fat biking! 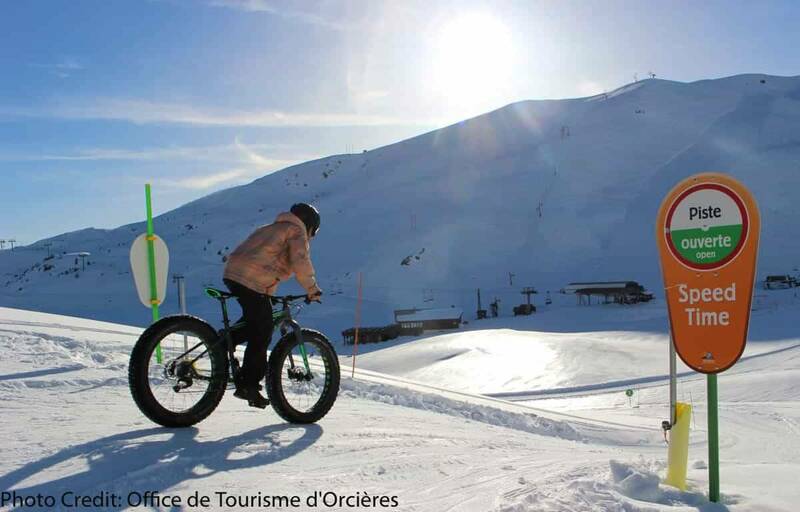 Hire one or go for a guided tour or descent in the summer and experience the exhilarating sensations of this new wonder bike! 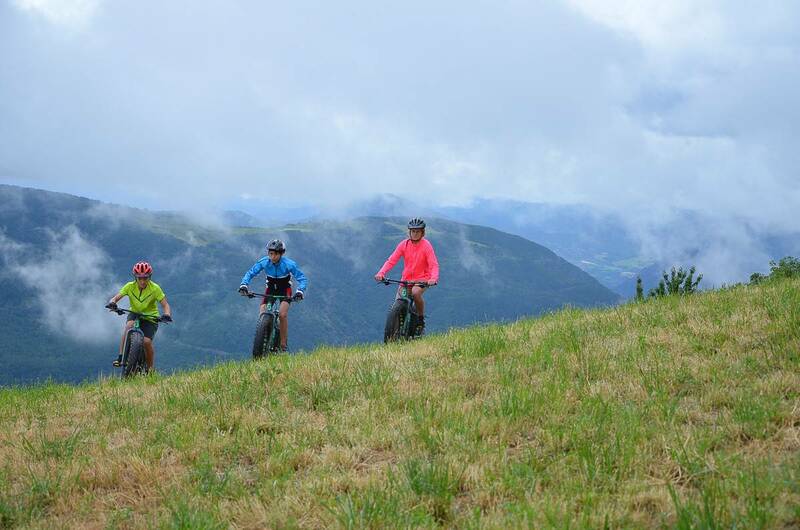 We can arrange self guided or guided rides across the valleys and mountains of the Southern French Alps. 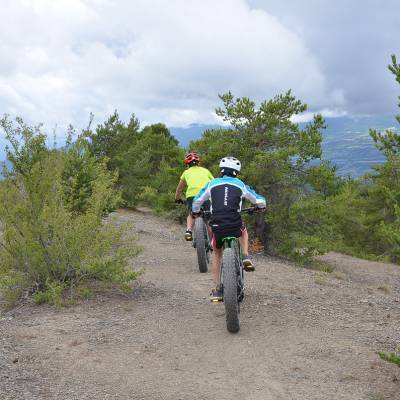 You can venture at your own pace on the many trails by yourself, or our suppliers can arrange a shuttle which takes you uphill so you only get to do the fun part and descent as fast as you want. 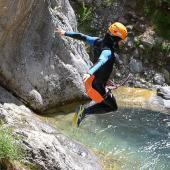 We provide all the maps you need so you can admire the stunning Alpine landscapes without the fear of getting lost. 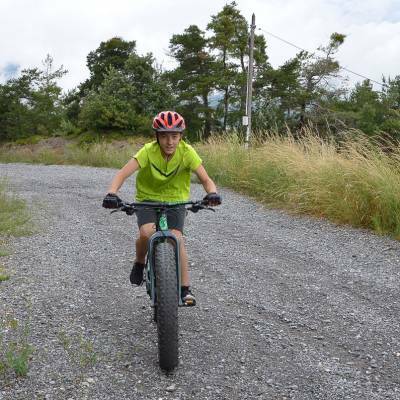 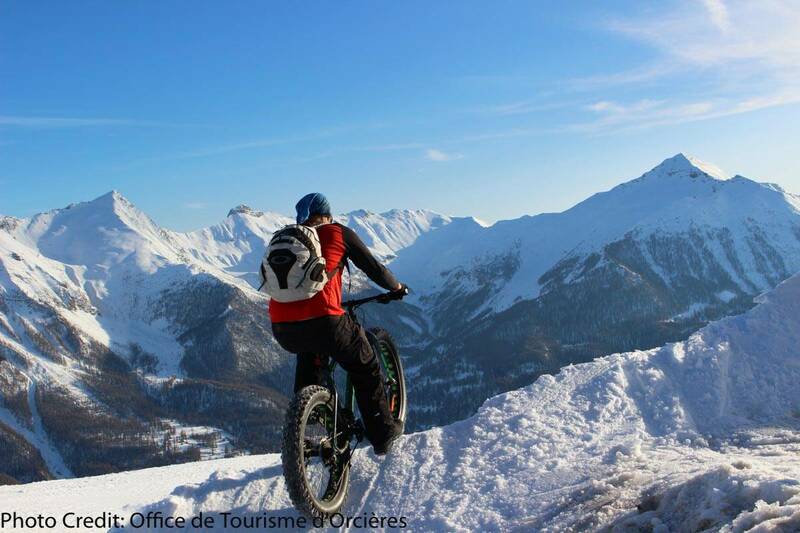 Fat biking is a great way to discover the wonderful region of the Southern French Alps. 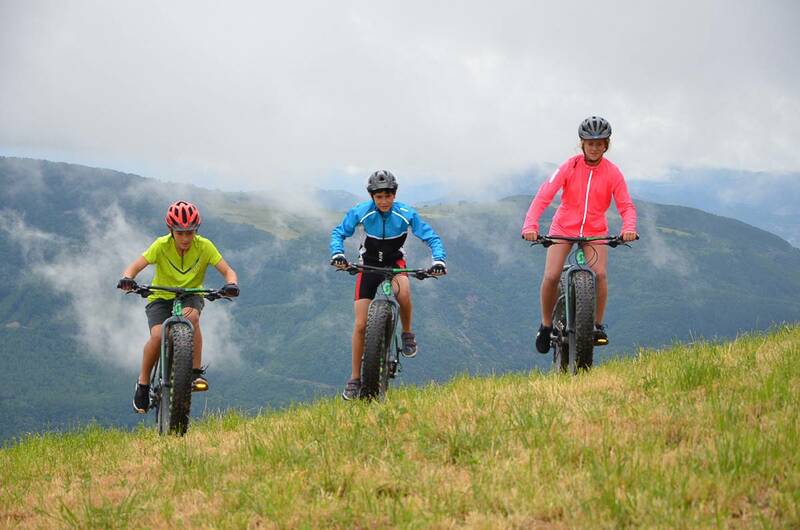 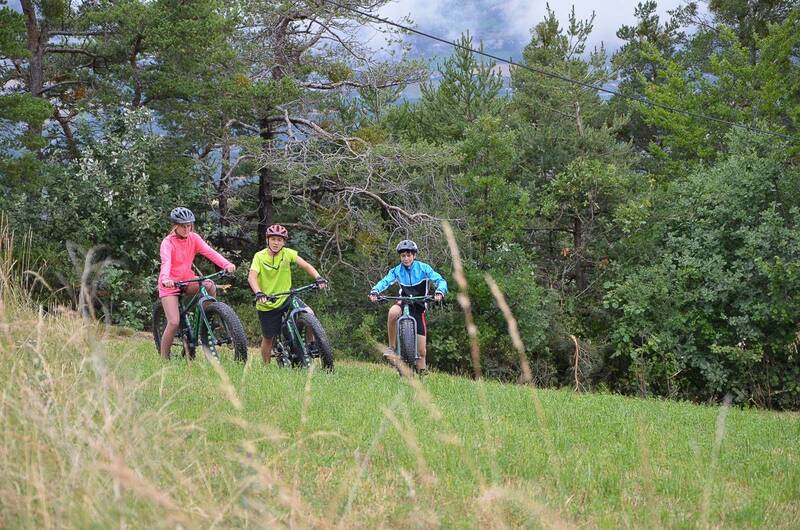 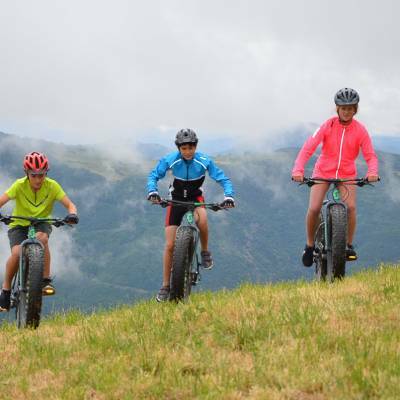 We also have fat bikes for children so you can venture off for a family adventure together, fat biking in the Alps! 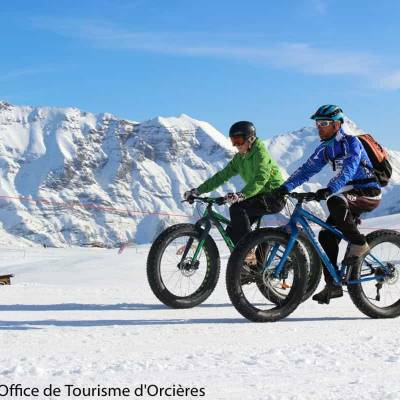 From the bottom of the valleys up to the pistes of the many ski resorts, the Southern French Alps offers unlimited opportunities for fat biking in the snow. 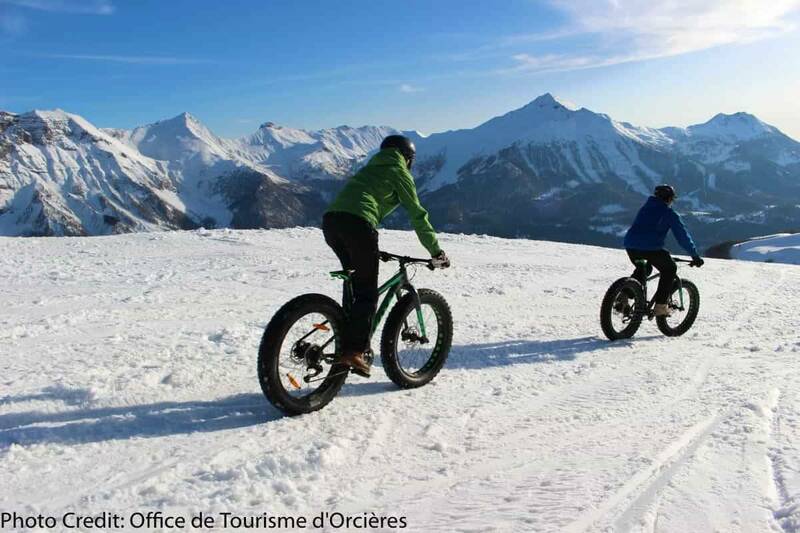 The enhanced stability provided by the large tyres makes riding on all kinds of winter terrains an easy and fun activity! 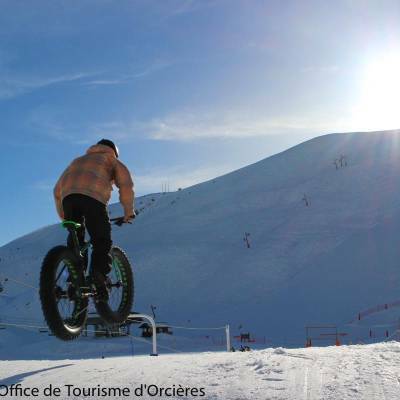 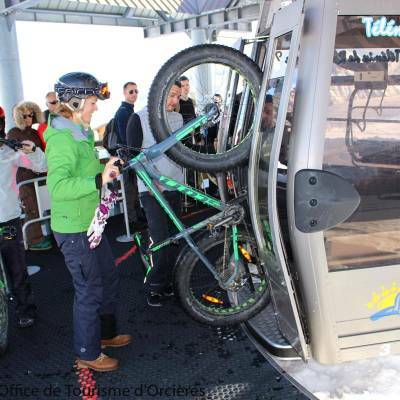 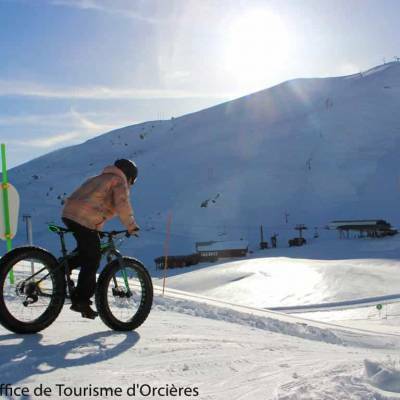 In the ski resort of Orcières 1850, you can take your fat bike up on the lifts and go for a guided ride down the pistes after the skiers have gone for guaranteed downhill fat bike thrills on the snow! 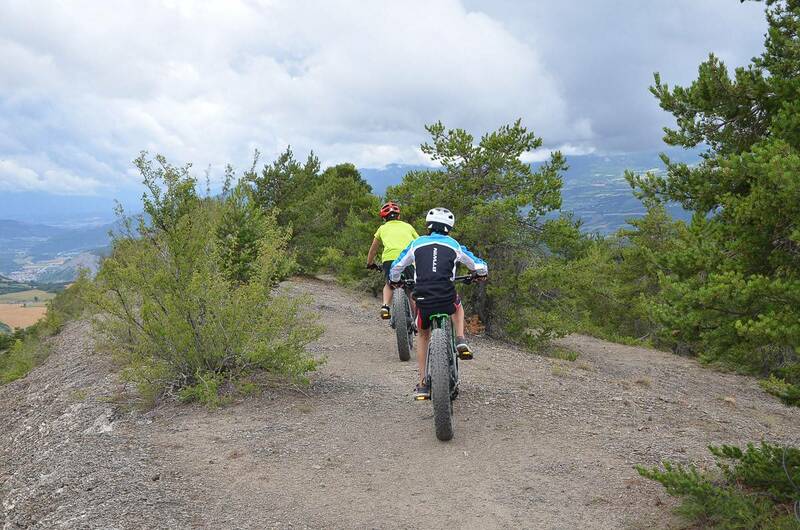 An unforgettable descent with spectacular sunset views over the surrounding summits! 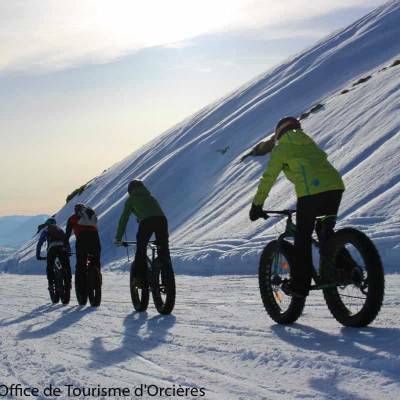 In the cross country ski domain of Col Bayard you can also go for a snowy fat bike experience and explore the many hidden parts of this beautiful site at your own pace, self guided or with a guide. 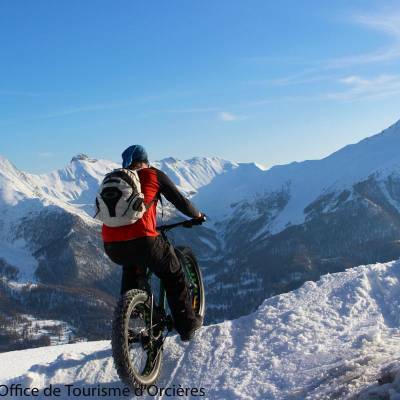 The main advantage of fat bikes is their versatility on and off snowy terrain. 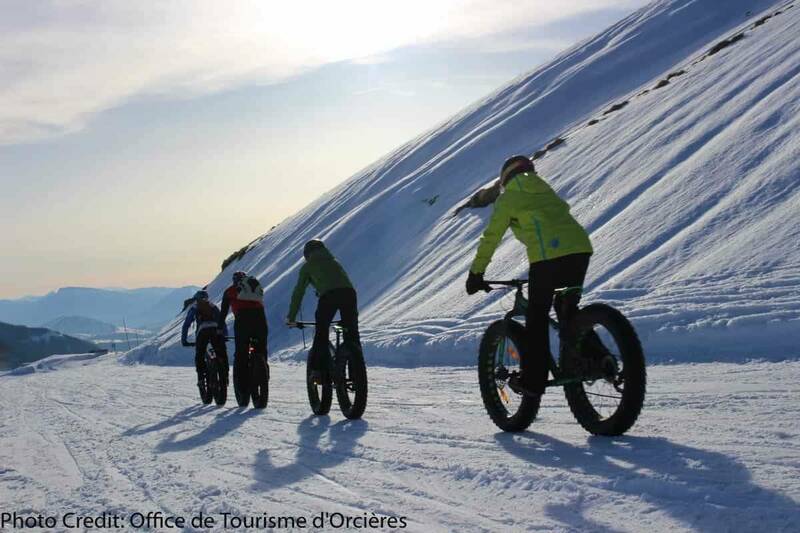 It doesn't really matter how much snow there is to have fun on a fat bike. 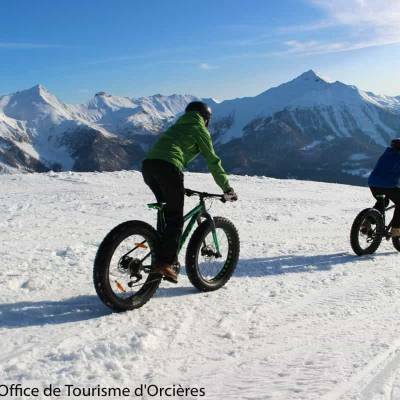 In the lower valleys of the Southern French Alps where the many hiking paths allow you to ride in and out of the snow line, fat biking is the perfect compromise for uninterrupted cycling adventures. 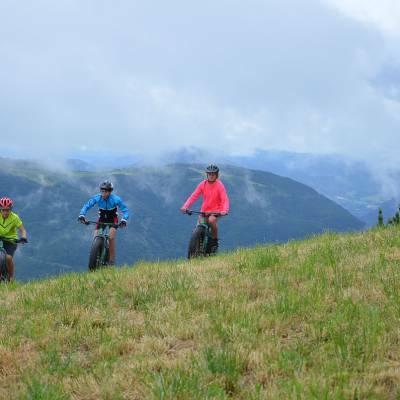 By offering this versatility, fat bikes allow unlimited fun at any time in the winter season, from the first light snows early November to the melting spring snow late April! 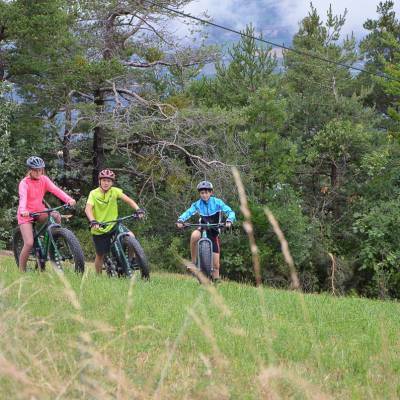 We also provide fat bikes for children so families can embark on a cycling adventure together! 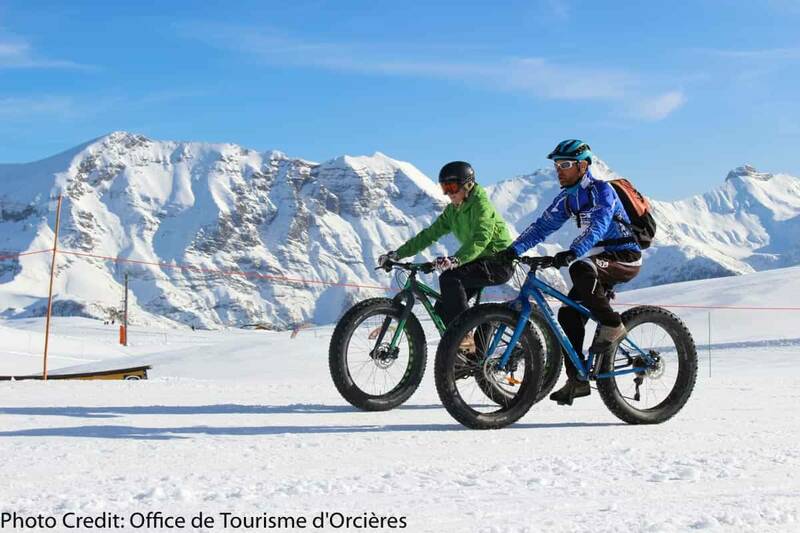 With the avalanche risk in winter it is advisable to choose a guided fat bike ride if you are unsure of the snow conditions. 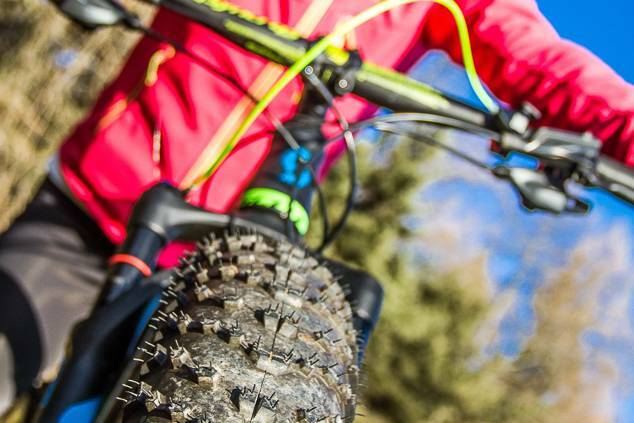 Ride places you wouldn't normally dare on these forgiving fat tyres - great for summer and winter! 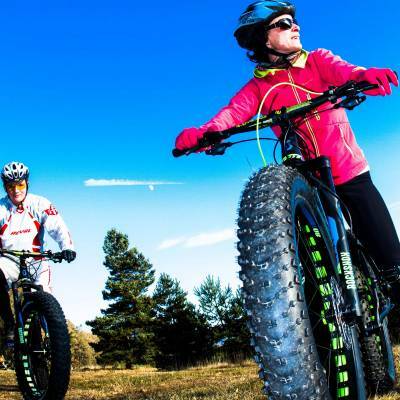 The minimum recommended age for fat biking is 7 with a child fat bike and there are trails and routes suitable for all ages and abilities. 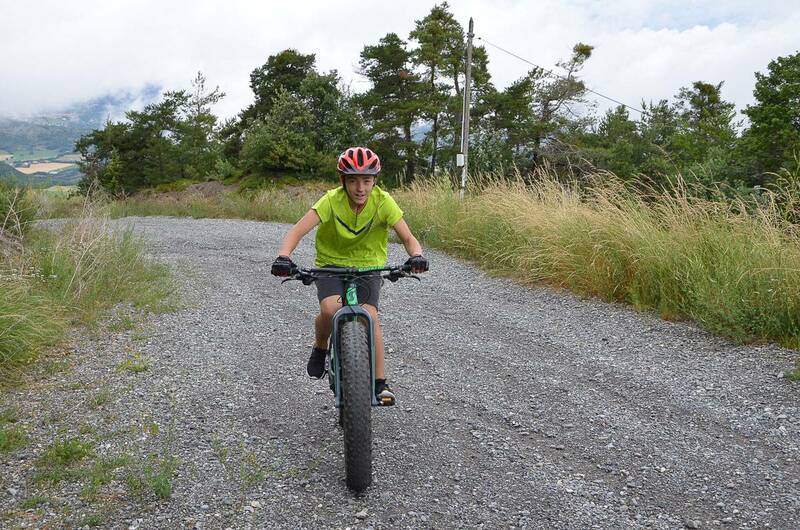 For more technical trails, the minimum recommended age is 14 with biking experience. 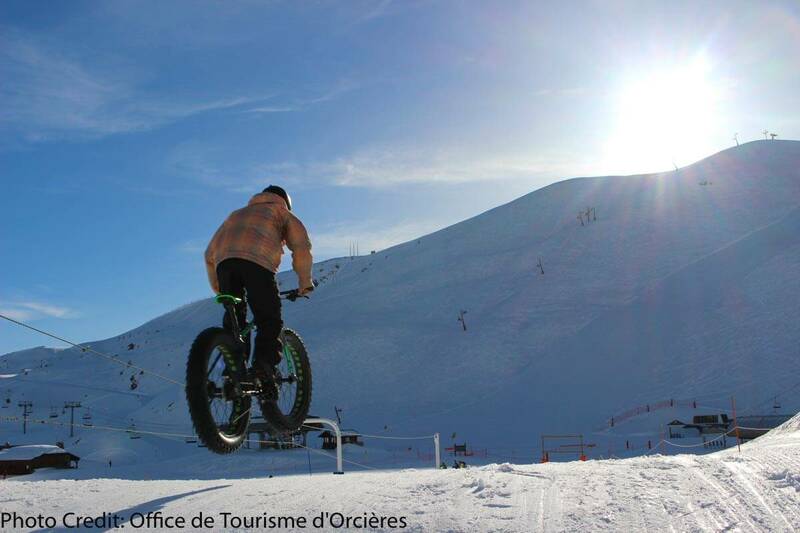 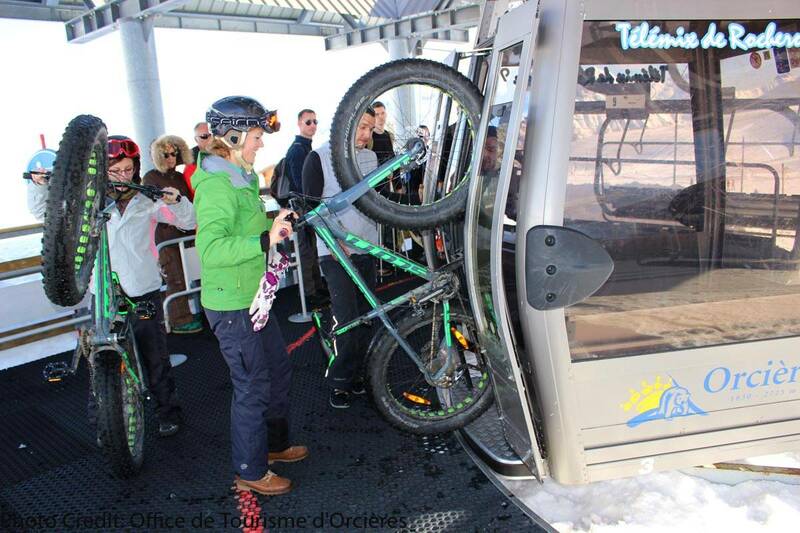 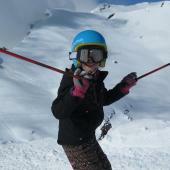 For the descent on the ski pistes of the Orcières resort, the minimum age is 12. 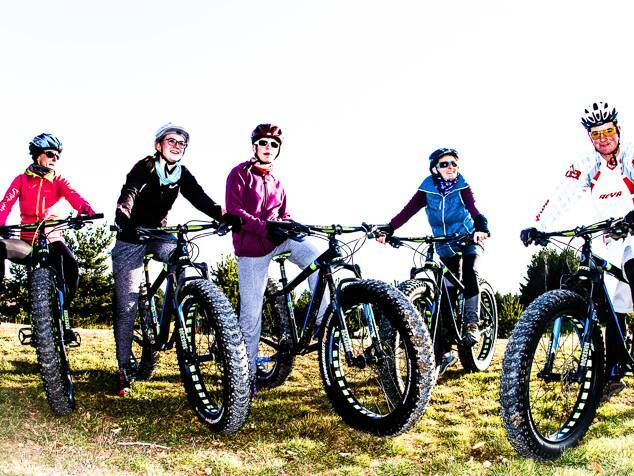 For fat biking, a reasonable level of fitness is required. 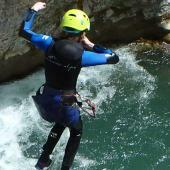 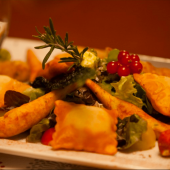 For red routes and above, previous experience is recommended.